Barbie and Ken Skip the Divorce: Angelina Jolie Pitt’s "By the Sea"
Roy Anderson: [Observing how hard it will be to get Vandergroat off the mountain] Looks like you got a real interestin' problem in logistics. 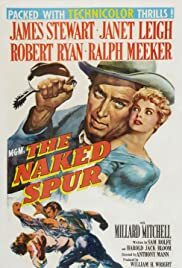 I never realized what a scene-stealer ROBERT RYAN could be until I saw THE NAKED SPUR. 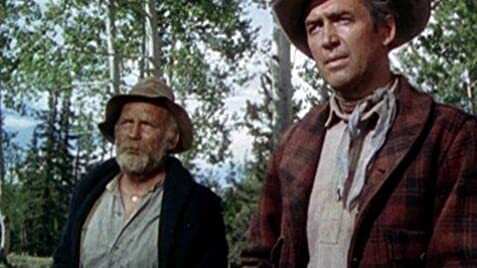 Although JAMES STEWART is the nominal big name star, it's Ryan's charming, snake-like villain who dominates this rugged western despite strong performances from the entire cast. He obviously relishes his role and is a joy to watch. This is more a character study of a group of desperate losers than your average shoot 'em up western and Anthony Mann has directed it with the focus on the strong clashes between each one of them. RALPH MEEKER does an outstanding job as a war deserter who is both a help and a hindrance to the group as they seek to return outlaw Ryan to Kansas so justice can prevail. Stewart's character is given strong motivation for his deeds but Janet Leigh, as the outlaw's girlfriend, has a role that is not plausibly explained. Photographed in Colorado's Rocky Mountains, it's a rugged kind of technicolor western that gives all of the performers physically demanding roles--and all of them are more than up to it. Stewart, Leigh, Mitchell and Meeker are all superb--but it's Robert Ryan's devious villain that will linger longest in the memory.